Weather Channel is at it again. 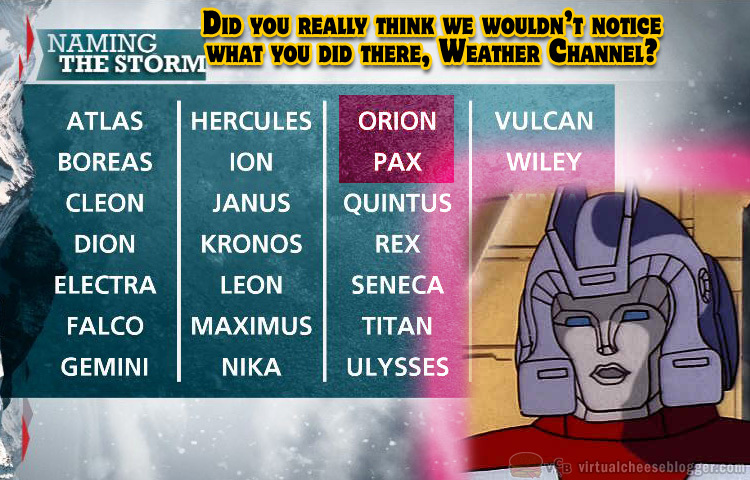 For those who aren’t aware, Orion Pax is the pre-prime version of Optimus Prime, the head Autobot in Transformers. 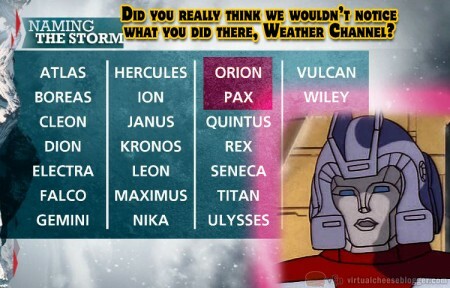 Personally, I’m a little offended that we’ll never get hit by Super Snowstorm Megatron.Well, there’s always next year’s storms, I guess. Weather Channel, are you listening? Previous Previous post: A New Fragrance By Justin Bieber?